Market Street Hatch Chile Fest! 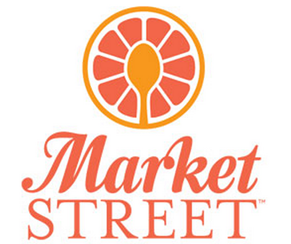 I told you how a few weeks ago I got to visit Market Street and how impressed I was with everything. well now, I want to share with you about their Hatch Chile Fest! I love the different areas of the store and how friendly the staff was and knowledgeable, too! They juice their own fruits right in the produce area for you and they have sushi made fresh and a café and a boutique, and a wall of single craft beers and a cold room for their liquor that you can go into and purchase cold beverages! It was just a fun experience for me to check it all out! 1. August is Hatch Chile month, and we celebrate in our stores with roastings, recipes, special Hatch products and more. 2. Official roasting dates are August 16-17 and 23-24, although most of our stores will be roasting every weekend in August. Stores will be sampling special Hatch Chile products each weekend as well. 3. We offer FREE roasting for any fresh Hatch chile purchase. On roasting days, we have half gallon and gallon size bags of hatch chiles fresh out of the roaster and ready to take home. The smell is amazing! 4. Our Hatch Chile Pinterest board and our website will feature dozens of new Hatch Chile recipes. 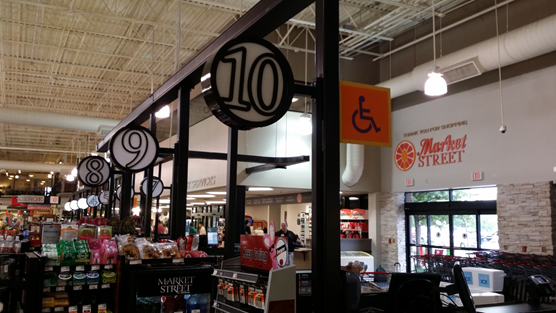 Next time you’re in the area, just drop by Market Street and check out all of the great features in the store – and if you have trouble finding anything or have a question about something, make sure to stop by and ask the store’s Concierge!